In 2002 when Jim Studer, MBA, RFC was in the middle of a successful aviation career at Airborne Express, he was intrigued and mystified by investment decisions of his many fellow highly compensated pilots. He believed that his fellow aviators worked hard for their wealth and it was their responsibility to manage it in a cost-effective and efficient fashion. This responsibility cannot be delegated; personal involvement and education are keys to a successful investment experience. So, he entered the financial industry with the main goal of providing this opportunity to his fellow pilots. 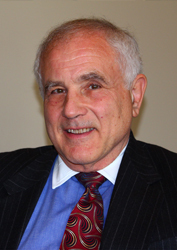 In 2005 he founded Financial Wings a Licensed Investment Advisory Firm with offices in Lebanon and Chagrin Falls, Ohio. Jim retired from flying in January 2010 and now devotes his full attention to Financial Wings. His company has expanded to provide a full array of financial services that include: portfolio management, financial planning and company qualified plan design and implementation. After Jim graduated from Miami University in 1971, he entered the Air Force and achieved Command Pilot rating and was selected to the rank of Full Colonel. While in the Air Force he received his MBA from Golden Gate University, located in San Francisco, Ca. In 1993, Jim left the Air Force and joined Airborne Express where he rose to the rank of Captain. He has been married for 36 years to Lou Ann and has two sons, both professional pilots. Bill is a Certified Public Accountant and has achieved the American Institute of Certified Public Accountants designation as a Personal Financial Specialist. Bill Tomko combined his financial consulting practice with Financial Wings in order to offer a full range of services to sponsors of defined contribution retirement plans. When he looked at the business world today the area that struck him as the segment where he could add the greatest value it was the retirement area. Why? Well we are facing a retirement crisis in this country as many people today are confronting retirement with inadequate funds and many plan sponsors are exposing themselves needlessly to potential legal risk that they may not fully appreciate nor know how to take steps to mitigate. Also participants may not know how to construct a diversified investment portfolio to achieve their retirement needs. Financial Wings can show you how to reduce your potential liability for meeting your fiduciary obligations while reducing your plans costs and provide diversified and professionally constructed portfolios to participants. 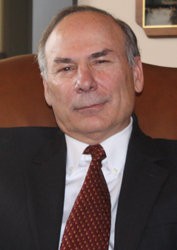 After Bill graduated from Miami University in 1971 he initially worked in public accounting and he was subsequently employed by Life Technologies as Director of Corporate Development and then by Primus Venture Partners. Bill has run several businesses including Otto Sensors as its president. For the last 20 years he has owned his own consulting business catering to mid market investment banking needs and providing crisis management services. He has been married for over 40 years to Susan, they have no children.